There are many things to enjoy in the Port Austin area throughout the fall. With the changing season, beauty abounds. Join us as we embrace autumn with a number of fall activities and events. To begin planning your fall trip to Port Austin, see below. Are you after autumn color? You will experience all this and more with a trip around Michigan’s thumb. Whether you head north on M-53 or jump on M-25, the journey to experiencing the best autumn has to offer is only a short drive away. Revel in the breathtaking sights of fall with miles of picturesque rural landscapes, long stretches of coastal shoreline (including historical lighthouses), and trees of all shapes and sizes bearing their best colors. Trek the quiet costal and woodland trails to stretch your legs, making sure to spend a nice afternoon hiking the trails at the Huron County Nature Center & Wilderness Arboretum and Port Crescent State Day Use Park. You will also enjoy many quaint and unique villages and communities, including Grindstone, Huron City, and Port Austin, in addition to a number of scenic pull-offs and parks. You can experience the Thumb color tour in a day, but you could easily make a weekend-trip of it. There’s plenty more to experience along the way, with many activities and events right here in and around Port Austin. Experience art like the favorite barn art projects and more, or peruse items of artistry at local boutiques and shops. Celebrate the harvest season by shopping for locally grown produce and handcrafted wares at the popular Port Austin Farmers Market. Enjoy a bite to eat at a local restaurant. Whether you’re in the mood for farm-to-table and upscale edibles or down-to-earth options like pizza, sandwiches, or bar-food favorites, there are a good number of options for whatever you’re in the mood for. Make a night of it and cozy up in one of our area’s local lodging accommodations ranging from quaint cottages, beachfront motels, and affordable motor lodges with all the amenities. See below to begin planning your fall trip to Port Austin. Experience our beautiful fall colors, take in our barn art projects, get in some fall fishing, or whatever suits your taste... Port Austin has a lot to offer! Fall is always a fun time of year here in Port Austin. We have events happening throughout the fall including our fall farmers market every Saturday through the middle of October, live music, Bird Creek Farm's Oktoberfest, and so much more. 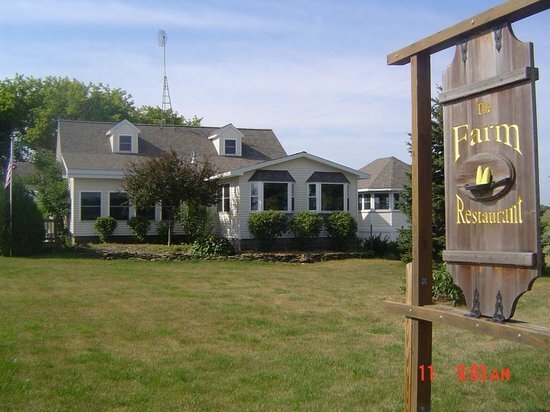 Even though summer is the height of the season in Port Austin, you will find great options for dining in the fall too! When the harvest comes on, so do the flavors. You will find farm-to-table fare, locally caught fish, and more. The temps are starting to get a little chillier, so cozy up and stay with us this fall! Make a night of it at one of our many local accommodations. See below for more even more ideas and information when visiting our area this autumn.